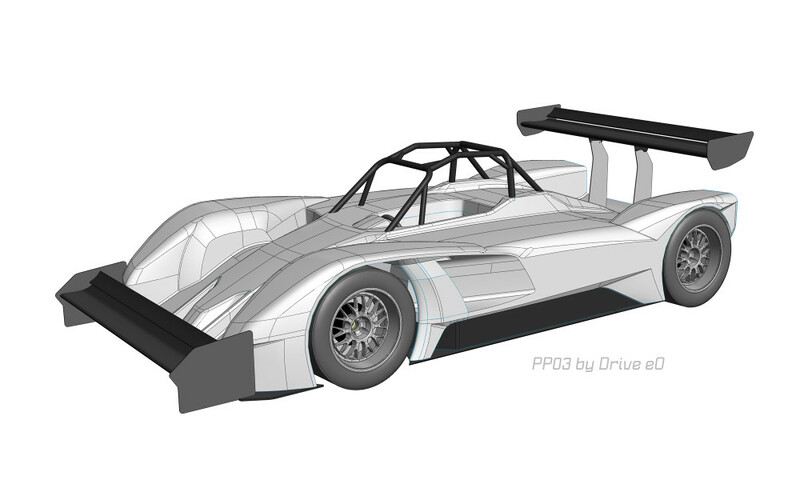 Drive eO announces the arrival of eO PP03, world’s first one megawatt all-electric race car. Designed and built in Latvia, the 1020 kW (1368 hp) powerful vehicle is to compete at the annual Pikes Peak International Hill Climb in the United States of America on June 28, 2015. “We want to become the first overall winner with an electric vehicle,” said Kristaps Dambis, project director at Drive eO. Drive eO is an engineering company specialised in the design and manufacture of electric and hybrid electric prototype vehicles. The eO PP03 is a result of years of development. The Latvian based company was the first to enter and complete the demanding Dakar Rally with a hybrid electric vehicle. This project was followed by the creation of eO PP01, a purpose built fully electric prototype race car to participate at the Pikes Peak International Hill Climb competition. Last year, they were the first to enter this race with a modified Tesla Roadster. The newly created all-wheel drive eO PP03 has a 50 kWh lithium-ion battery pack and is propelled by six YASA-400 electric motors with in-house developed eO controllers. This package provides a peak power of an impressive 1020 kW, peak torque of 2160 Nm and could reach 260 km/h. The kerb weight is targeted at just 1200 kg. Pikes Peak International Hill Climb is the second oldest motor racing event in the United States of America. The race is run on a challenging twenty-kilometre (12.42 mile) course with 156 turns. It begins at 2,862 metre elevation (9,390 feet) and finishes at the 4,301 metre (14,110 feet) summit of the Pikes Peak mountain in Colorado Springs.